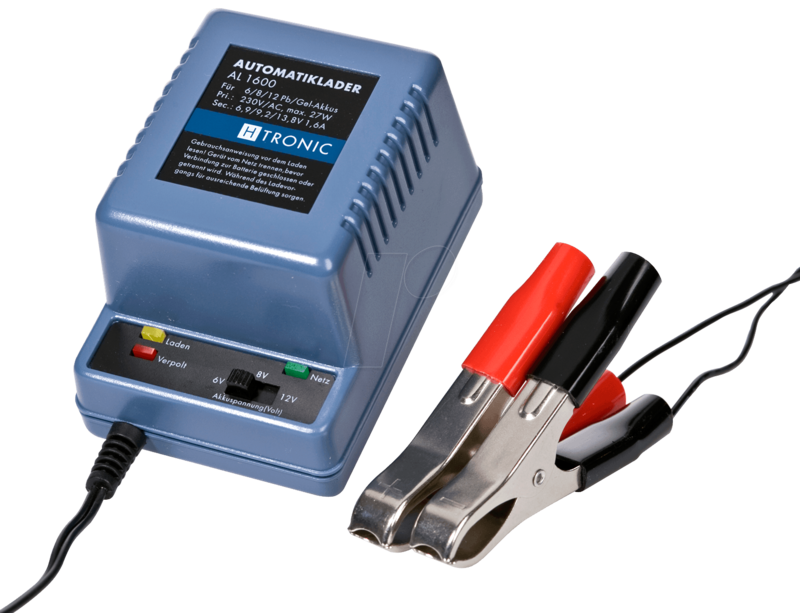 With this automatic plug-in charger in state-of-the-art switching power supply technology, 6 V, 8 V and 12 V lead-acid batteries are automatically loaded. Compared to conventional chargers, this charger is characterised by a higher degree of efficiency (up to 85%) and a significantly low weight and smaller dimensions with the same power. The integrated electronic charge controller automatically reduces the charging current when the respective final charge voltage is reached. Ideally suited to vehicle, caravan, motorcycle and boat or tractor batteries. The charger can remain connected to the battery with no time limit and is, therefore, also ideal for the winter hibernation of batteries. Delivery includes battery terminals and instructions.